The irregularity of the yarn, both texture and colour, work really well with this pattern. Unfortunately, I don’t have a heck of a lot of yarn – I only have seven skeins of this colour (Acorn) and then three more of a light blue. I think this is how things are going to play out, based on how far I’ve gotten with two skeins: three skeins for the yoke (maybe a little less), then one skein for each of the sleeves and the remainder for the body. So when I run out of yarn on each sleeve, I’ll start the cuff in the contrast colour. Hopefully the body will end up long enough! 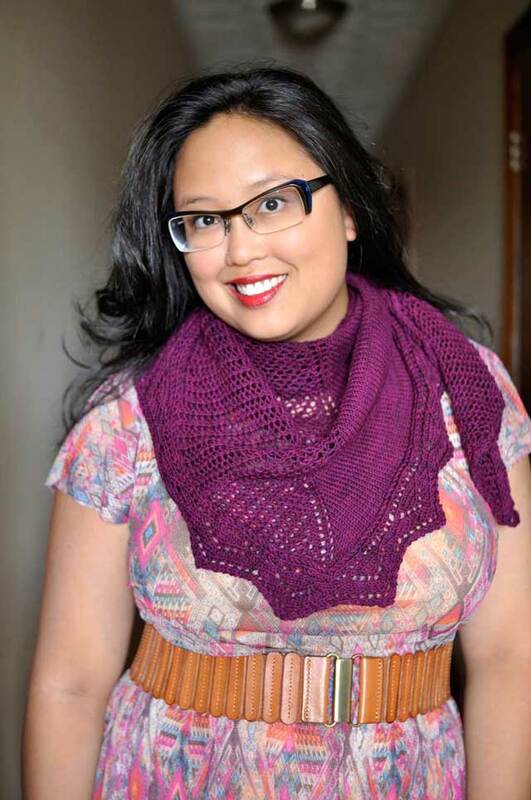 The lace in the body should stretch the yarn a little farther. Oh gosh that yarn is GORGEOUS. I am so excited to see how it knit up, I saw this at my LYS and thought it was so beautiful, but couldn’t bring myself to spend so much on it! Maybe I can splurge on a few skeins for an accessory! Can’t wait to see this finished! Thank you! *blush* I didn’t even know you read me! The Terra is to die for and is literally the most comfortable yarn I’ve ever worn. I would love a skein of every color. A girl can dream! That yarn is divine! I love it. The tree jacket is in my queue. It look so wearable. I bet your two-toned version will look great! Great pattern. And nice yarn. I love Terra. And the reward is well deserved. You’re one talented cookie. Aw, thanks! You make my day too! And yum, an entire sweater out of Terra…. drool-worthy! Hey, what a great compliment, thanks! Oooh…can’t wait to see the Tree Jacket in that yarn! Fabulous choice. I just love instant gratification knitting. Sometimes (especially after a long day) it is just great to sit down and make something and be able to wear it in under a week. 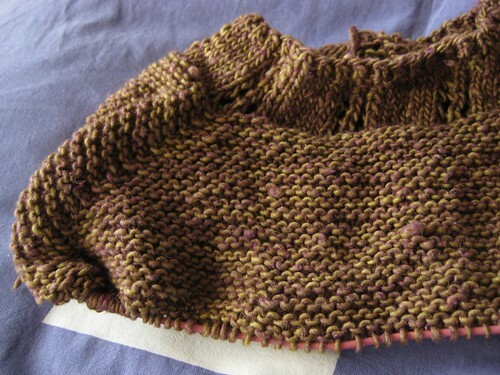 It will be awfully nice to see this sweater finished. Love Fibre Company yarn, any of it, all of it! Which colorway is the one you show here? I can’t wait to see the sweater.